P.S. What are you committed to releasing into the world? Comment below and let’s do this together. WANNA WORK WITH ME? Click here to book a session or a program. <3 I can’t wait to work with you! P.S. Theme music: “Gracias” by Milton Arias licensed under CC BY-SA 4.0. 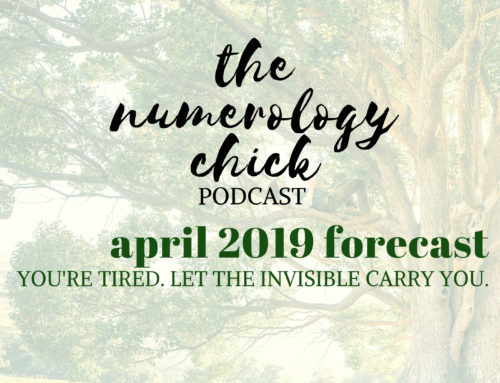 #52: April 2019 Numerology Forecast: You’re Tired. Let the Invisible Carry You. 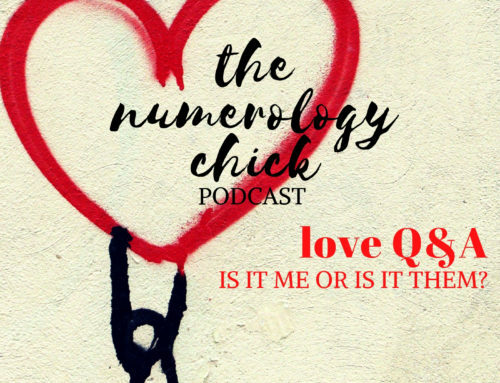 #51: Love Numerology Q&A: Is It ME or Is It THEM? I definitely remember the end of that era in 2016. That sparkle in my eye definitely came back. I’m all about coming out and playing this year. YAS, Katie!!! It’s time. We will do it together. I’m INSPIRED! You are already saying something. <3 Love to you. I was selected along with 27 other Screenwriters from thousands to attend Talent Campus this last week – an event to develop screenwriters across the globe. I was scared and doubtful, but I went along – it has already changed my life. Plus, a Hollywood producer has been in contact and he has asked who I would like to pitch too. Your message is a confirmation – that I must write and make a difference in the World with the words that I write. HOLY CANNOLI!!! Girl, you are right on track – and you will protected and supported. I am here cheering you on. PS Nat, in total there were 28 Screenwriters from across the globe. I now know what I need to do – and I am ready to step up and speak out for others, through my films, TV drama’s, plays and books. Nat, I would also love to have a 1:1 session with you too. Take a look at my ‘book a session’ page above to work with me one-on-one. I would love to help in any way I can. Thanks for being here, Nicole! Everything is lining up. We are watching it unfold in our sessions aren’t we Natalie! It is so exciting! I heard the term numerology. I locked on to it. Looked it up and boom! I found Natalie soon after those incidents of attraction. I am in an energy field. It seems as though I am flying free into places I have never been. Flying free to places I haven’t been since I was a child. Revisiting and taking new looks at old stories. You pointed out that the numbers show the occurences that are happening now are once in a life timemovements.. It is so good to have you as my guide! LENNNN! <3 Yes, we are watching it unfold together! Coincidence that we are working together RIGHT when we step into a 3 Universal Year - right when your expression number gift-to-the-world is ready to get rockin'?? I think not. It is divine. Errrrr... can we just dive into and talk about this stuff everyday together! lol. Dear Nat, everything you are saying make sense to me. 2018 was the year I woke up and I went through an amazing transformation which I never believed was possible or even existing. I was asleep so many years. It started slowly in 2017, continued in 2018 and as you say 2019 is the year for me to start this work is meant for me to do. On February 16 will start my personal year 3 and I am so excited. I have this feeling that something very profound will happen in my life as a big change. I also have this feeling for many years now that I am meant to do an important job for this world in my lifetime. Last year it came in my mind that I want to bring people together in the name of love regardless of religions, cultures, traditions, languages, colors. I want to teach people how to heal with the help of their heart, to make them feel again the true love existing in all of us. I want to do so much good as possible. I didn`t figure out how I can do this but I hope this year I will find out. I have this gift to understand people, to read them and people appreciate me when I give them positive energy, positive feelings. I am so happy that I found you, Nat because I crave your wisdom and knowledge. I learn always something new from you. Thank you so much! Send you my love and appreciation. Thank you so much for taking the time out to comment, Cornelia-Gabriela. 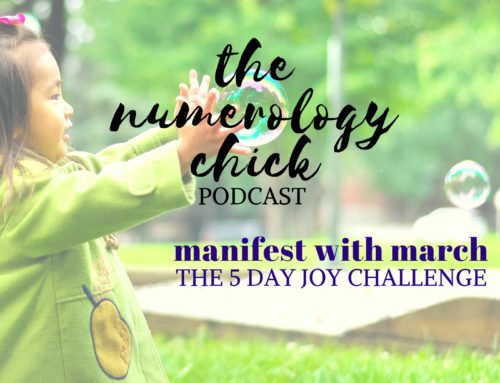 This year is going to be super powerful for you because it matches up with your personal year cycle. You are going to feel shy. You are going to question whether you should speak up. You are going to look at other people and think that what they have to say or provide is better than you. And I want you to move forward anyway and say something. The Universe supports the joyful and passionate. It will support you. Your daughters story makes one of those hotspots in my upper throat where I feel so real and happy. So happy for you and her. When you talk about threes I feel like you know me in a way that no one else does! Really. I love your podcast, I’m so excited for this year, I seriously can’t wait. I’m so excited to see it carry you and support you with that amazing 3 in your chart. You guys are special. Making a teepee in your bedroom? Laughing hysterically often? You a sparkle pony. Nat, I am a 4; I have a 3 and a 1 that make up my 4. Does that mean some of the 3 and 1 come into play too as I feel like I experience all 3 numbers. Oh yes! You’ll definitely feel a bigger kick if it makes up your main numbers! We forgot to cover that 33 in our session, didn’t we?! 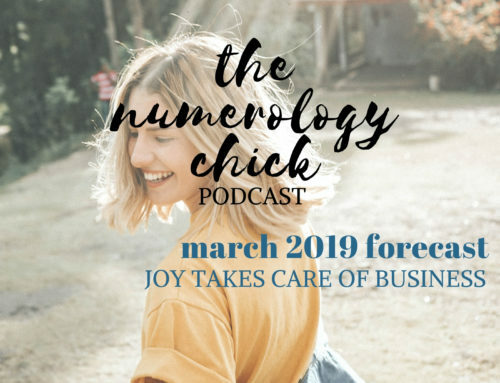 :O When I calculate your achievement or ‘attitude number’ it comes out to 6 – but regardless you have some potent 33 energy in your first name! Kristen adds down to 33! Master numbers are awesome. Don’t be afraid of them! 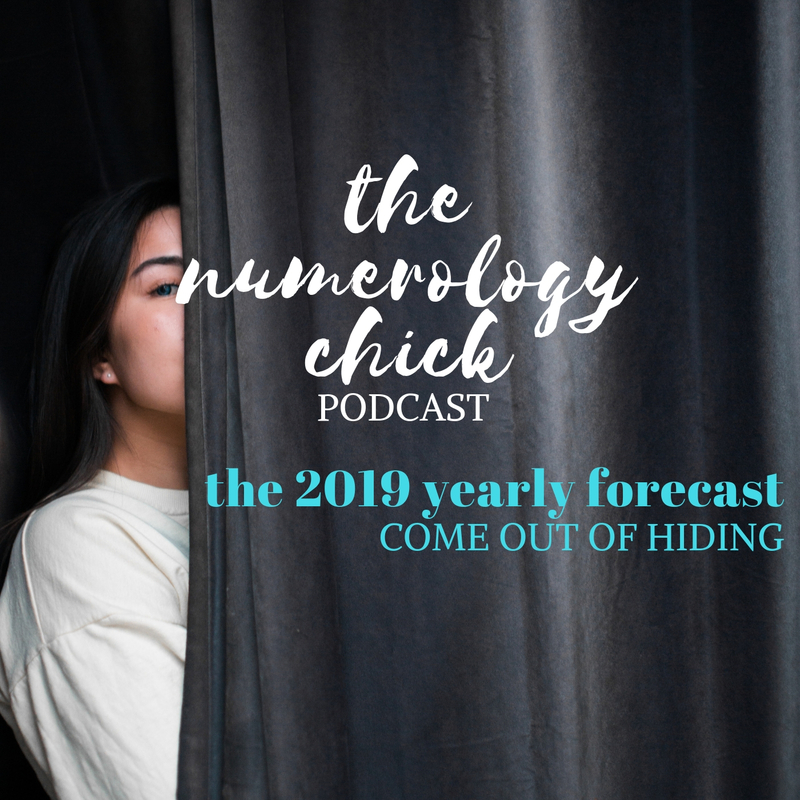 No doubt this is going to be a year where (because of that 33 in your chart) it’s ON like donkey kong… meaning it’s time to get put it out there, girl. People that know you think that you never hold anything back – but boy are they off base right now. You have some stuff to reveal and say that you’ve been keeping under wraps. And it is beautiful. Always on point with me and my husband, every time!!! Spot on. Still in hiding though. Not sure how to get out. Click is ticking fast for me. I tried finding your website and it says it can’t be reached. What is your website now? Hey Lisa! I just fixed the problem. 😉 Thanks for the heads up. 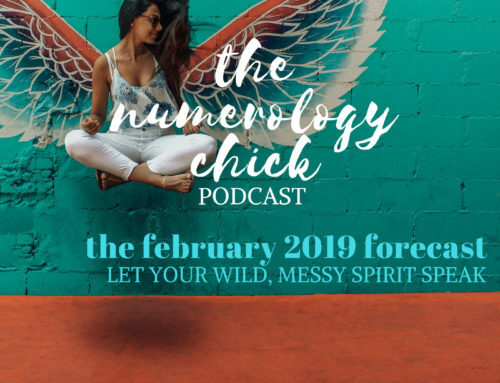 It goes without saying how you’re Always spot on and your Real Life stories resonate and pull together the validity of numerology in present time! Well this is more than a comment but WOW WOW WOW NAT you are amazing and I love your way of being so real, playful, funny and incredibly insightful. I listened to January and February and it couldn’t have been more accurate and helpful. I’m a sculptor working on a proposal for a colossal piece and it’s daunting. I have the same feeling about him, his name is Astraeus that you have about your book and it’s easy to get squirrelly when it’s such a massive project but I know I also would die for him.